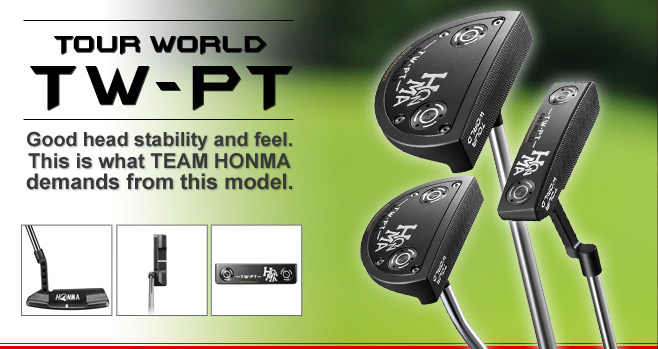 Good head stability and feel.This is what TEAM HONMA demands from this model. We created a base for a stable sole and completion of a solid-looking model. 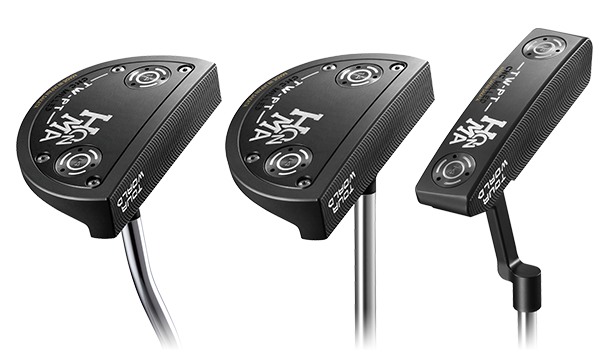 Furthermore, using milled SUS303 stainless steel, created a solid feel for the TW-PT. An aluminum sole, lightenes the central portion. 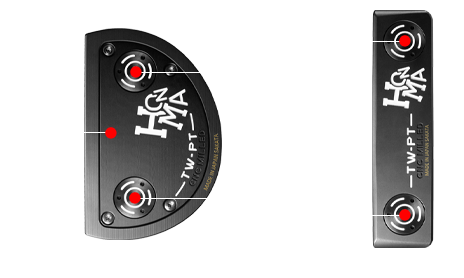 Two 14g tungsten weights in the sole with increased MOI. 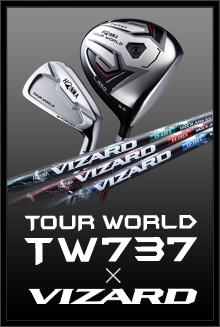 *Tungsten weight is not adjustable. 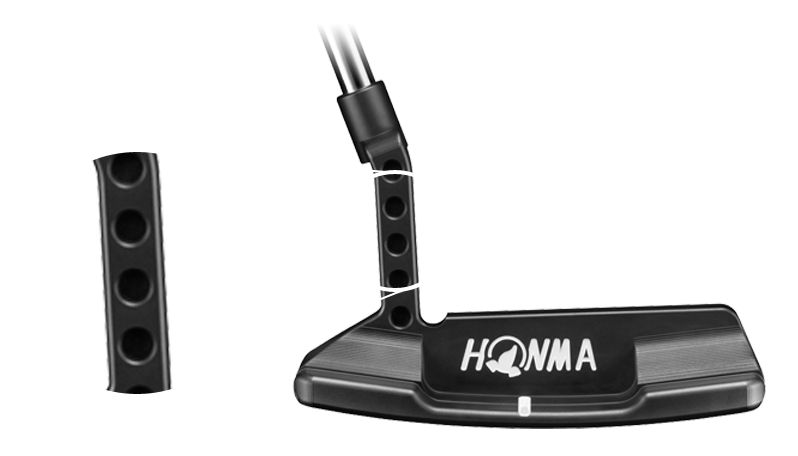 By the advice of Professional player Komei Oda(JGTO), a drilled hosel was engineered to make the toe side heavier and lighten the heel. 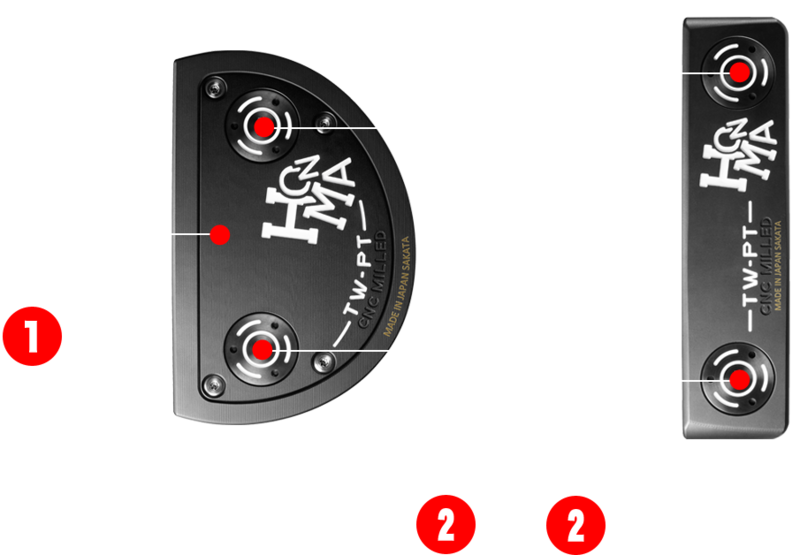 This lowers the center of gravity and realizes stable stroke. We were particular about the body color, thickness of the target line, appearance from various directions and feel. 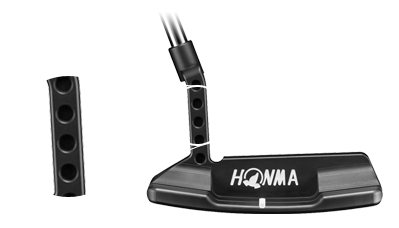 All these attributes are embodied in this putter. We were very particular extending over details, such as head stability, shape of the sole, overall material, color, design and aesthetics.